Clifford Jackson is a community services worker at Brantwood Community Services in Brantford. He is also the great-grandson of Albert Jackson, who was Canada’s first black letter carrier. Albert was born a slave in 1856 in the U.S. His father died after two of Albert’s brothers were taken into slavery. Then his mother, Ann Maria, fled slavery along with her other seven children. They used the Underground Railroad to come to Canada in 1858. In 1882, Albert got a job as a letter carrier, but on his first day he experienced racial discrimination from his white co-workers and was reassigned to the role of hall porter. His community was outraged, and they rallied behind him. The cause gained the attention of then prime mister John A. Macdonald who fought for Albert to be given his postal route back. “I’m so proud of my heritage because my family escaped the slave trade. I also have so much pride for my great-grandfather who pushed back against discrimination,” says Clifford. This year, during Black History Month, Canada Post unveiled a commemorative stamp featuring Albert to acknowledge that his achievements. Last year, he was also recognized by Heritage Toronto with a historical plaque. Clifford says he grew up hearing stories about his great-grandfather and believes it inspired him to work toward stopping racial discrimination in his workplace and his community. Clifford’s father, Donald Jackson, was also someone who championed for equal rights. Donald once petitioned the school system to eliminate the reading of a controversial and racist book. “It is in my blood to fight for racial justice and equality,” says Clifford. Clifford says in his community and workplace it is common place for him to hear inappropriate and offensive jokes. He speaks up against and challenges this off-coloured humour. 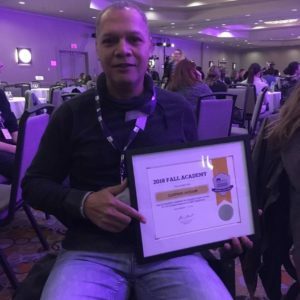 After seeing how SEIU Healthcare supports all its members and works for the betterment of every worker, Clifford got more involved with his union. He recently became a steward, attended SEIU Healthcare’s Leadership Academy, and has a goal to rally with his union to end discrimination. 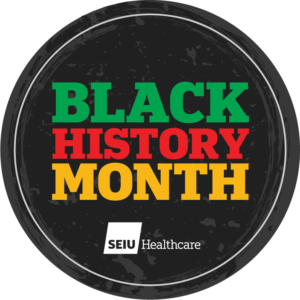 During Black History Month 2019, we are profiling outstanding black SEIU Healthcare members who are making a difference in their workplace and communities. If you have someone you think should be recognized, please send their full name and story to communications@seiuhealthcare.ca.